Home/Weige Knife Class/Weige Knives knife class kicks off w/ first student. 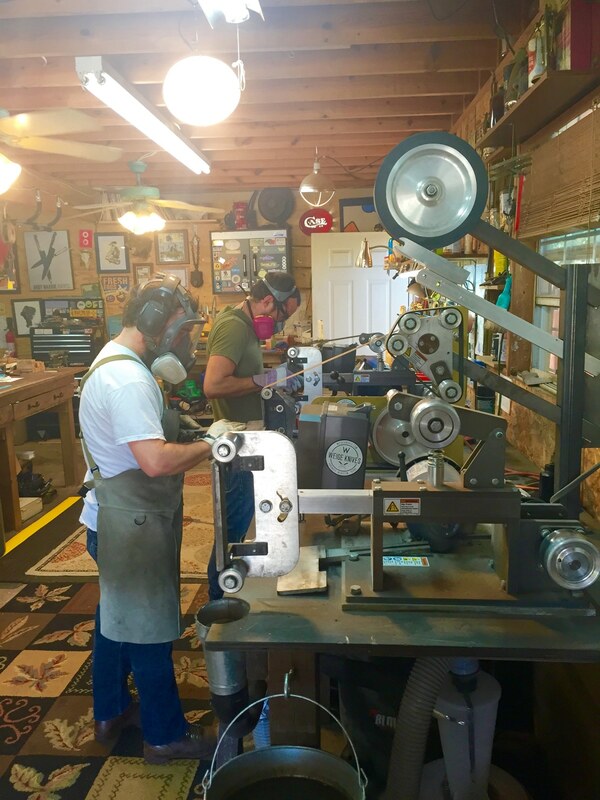 Sean became the first person to take our knife class this week and it was great to have him in the shop. 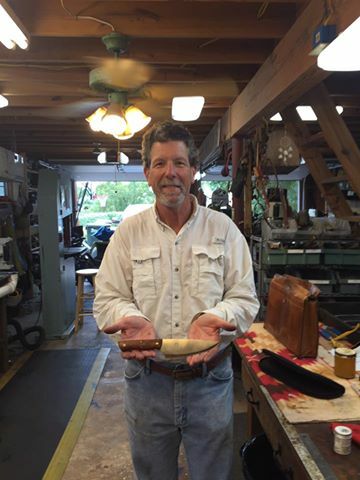 He wanted to build a special knife as a gift for his daughter’s upcoming birthday and since he had prior wood working skills really took to knife making. Sean spent around 8 hours over 3 days designing, grinding, heat treating, putting the handle on and making the sheath. He chose a beautiful cut of Texas pecan wood. His knife turned out really great. Go here to find out more about this class. We only take one student per month so schedule it now. October 12th, 2016 | Comments Off on Another student completes the knife making class.